They far out perform their fan driven counterparts, providing instant heat up to 1,000 square feet as opposed to only 400 square feet. They don’t tip over and all surfaces are cool to the touch, making them safer for children and pets. 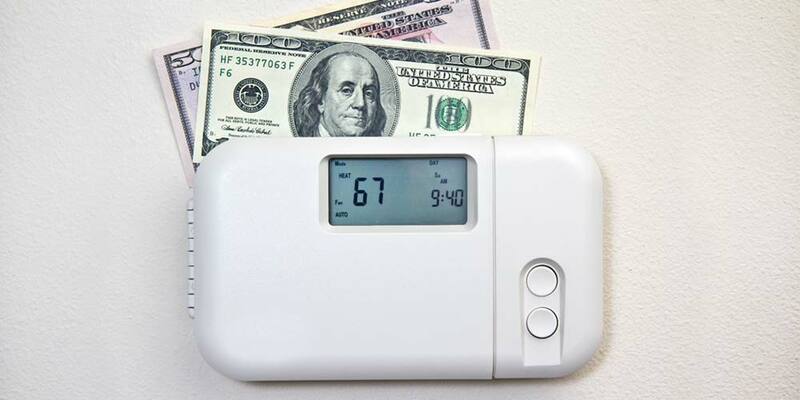 They’re more efficient in energy usage and heating output, which means cost savings for you. They don’t dry out the air through the heating process. 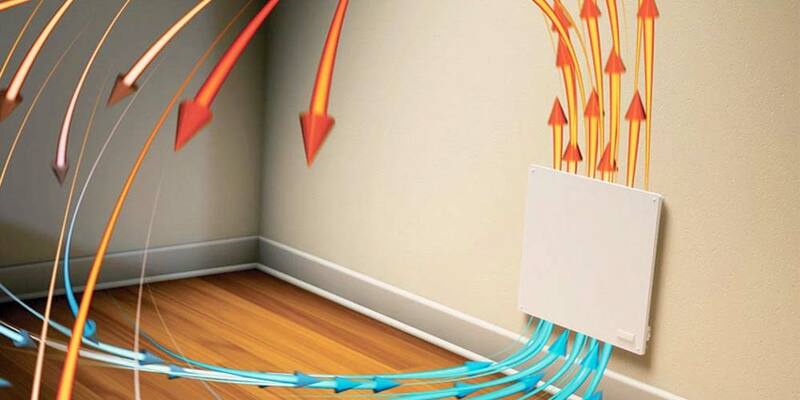 As infrared heaters have grown in popularity, hundreds of versions have flooded the market, leaving any chilled consumer with the daunting task of finding the heater that will work for them. You’re in luck, the buyers at Living Direct have scoured the interwebs looking for the best in infrared heating. 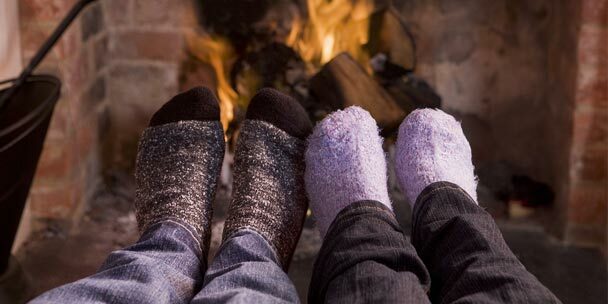 Below are the top heaters on the market that will appease everyone from the high-tech millennial looking for all the bells and whistles, to the octomom that wants a no-frills, safe heating option. Probably the oddest shaped and most high-tech infrared heater on the market, the HeatStorm Sahara Wifi Hi-Tech Infrared Heater is compact and light (12.5 x 13 x 17 inches and only 10 lbs) and is equipped with a carrying handle enabling you to move the heater with ease. Don’t let its small size dissuade you, this thing still cranks out 5,200 BTUs and is able to handle spaces up to 1,000 square feet like its larger counterparts. Best of all, the Sahara Hi-Tech is able to be controlled via wifi through the HeatStorm app. Simply download the app and your heater’s controls are at your fingertips. Access the app on your way home from work and arrive to a nice warm house on those cold winter days. 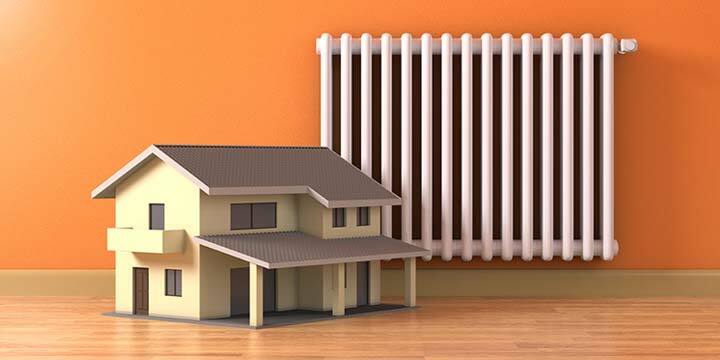 Infrared heaters have been around for six to seven years, but tower versions have only hit the market last year. These guys are great when floor space and a heat source is limited. The Duraflame Infrared Tower Heater features high-quality finishes and timeless style that will fit into contemporary to traditional décor. This unit features a dual fan function that can work with or without heat, so you’ll be able to use this unit in the summer months as well. If the cherry finish doesn’t appeal to you, check out the oak finish. Sometimes you need a little extra heat in a small space. This little heater is one of the most compact infrared heaters on the market that fits nicely under a desk or in an RV, but powerful enough to heat a bedroom. It’s able to sit horizontally or vertically which increases its versatility. 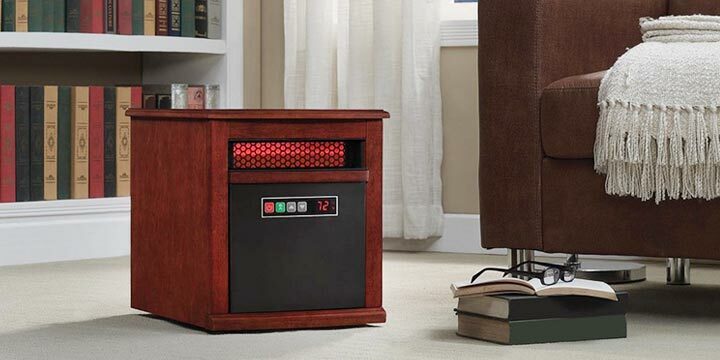 This Mini-Infrared heater still heats up to an amazing 500 square feet. HeatStorm makes our top five list once again with the Deluxe Wall-Mounted Infrared Heater; the only wall-mounted infrared heater on the market. This heater is easy to mount and a screwdriver is all you need to install. It’s the perfect solution for drafty bedrooms, offices or bathrooms; especially those with limited floor space. It measures 13.5” w x 16” h and 3.5” d.
Check out the Hi-Tech Wifi version controllable from your phone with the HeatStorm app. Duraflame has been making quality infrared heaters just about as long as anyone, and we had to put this tried-and-true classic on the list. As you’d expect, the Duraflame Infrared Portable Heater is a workhorse able to heat 1,000 square feet at 5,200 BTUs. But don’t let that traditional design fool you, it still comes with some nice features including a remote control, digital thermostat and rolling casters for ease of movement. If the Oak finish doesn’t appeal to you, it also comes in a slightly less traditional cherry finish. 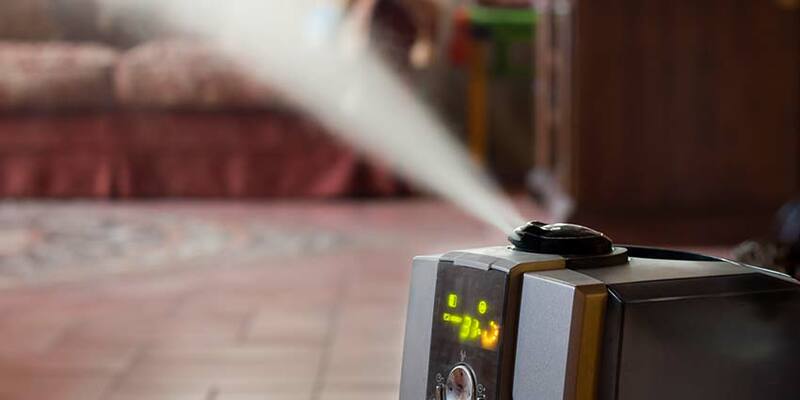 what about the edenpure heater?